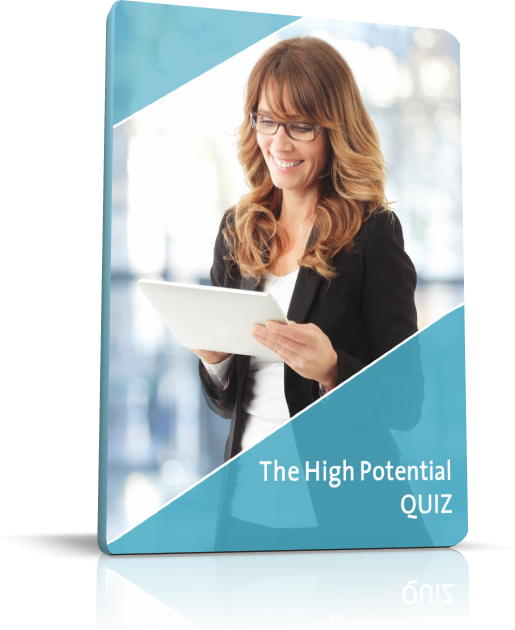 Set yourself up for success and get to the NEXT LEVEL with a clear assessment of your High Potential. DO YOU WANT A NEW CAREER THAT YOU ENJOY, EXCEL AT AND PAYS WELL? confidently develop your own business? increase your income and make a difference? Research indicates that high potential employees consistently and significantly outperform their peers. 93% of high potentials get promoted faster than other employees. Sure, it's easy to outperform when you have the ability, the organizational commitment, and the motivation to succeed in more senior positions. We believe that it isn’t a question of innate ability, but that it’s a matter of a set of skills that can be acquired and developed. You might be asking yourself, how do I get that set of skills? This Quiz can help you begin to answer that question. It's designed for smart, competent, hard-working and trustworthy employees who are progressing through their careers with some degree of satisfaction but are still wondering how to get where they really want to go. Compare your score and the specific qualities to those of future leaders and senior executives. Pinpoint your strengths and understand potential improvement areas that could lead to a leadership role in the corporate world or as an entrepreneur. Enhance your self-esteem as you explore and recognize your unique skills and contributions. There isn’t one. 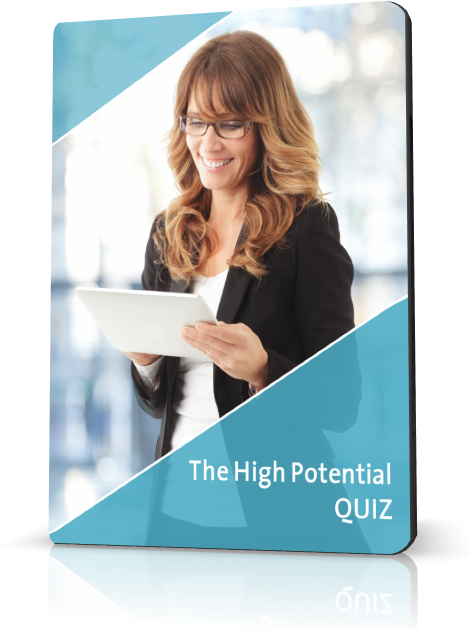 Your access to this Quiz is completely free. And if it helps identify your improvement areas, you are offered a bonus strategic consultation to start your transition plan right away! WHY THIS QUIZ IS NOT FOR EVERYONE? The High Potential Quiz isn’t for everyone. It is designed for smart, competent, hard-working and trustworthy employees who are progressing in their careers with some degree of satisfaction, but are still wondering how to get where they really want to go.